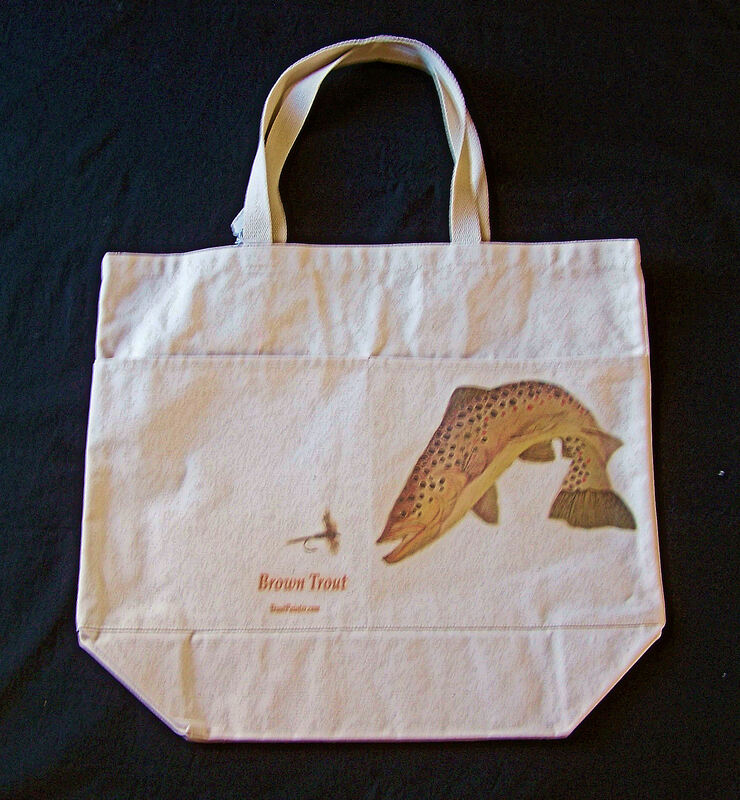 100 % cotton canvas tote bag with either Brown Trout or Rainbow Trout. 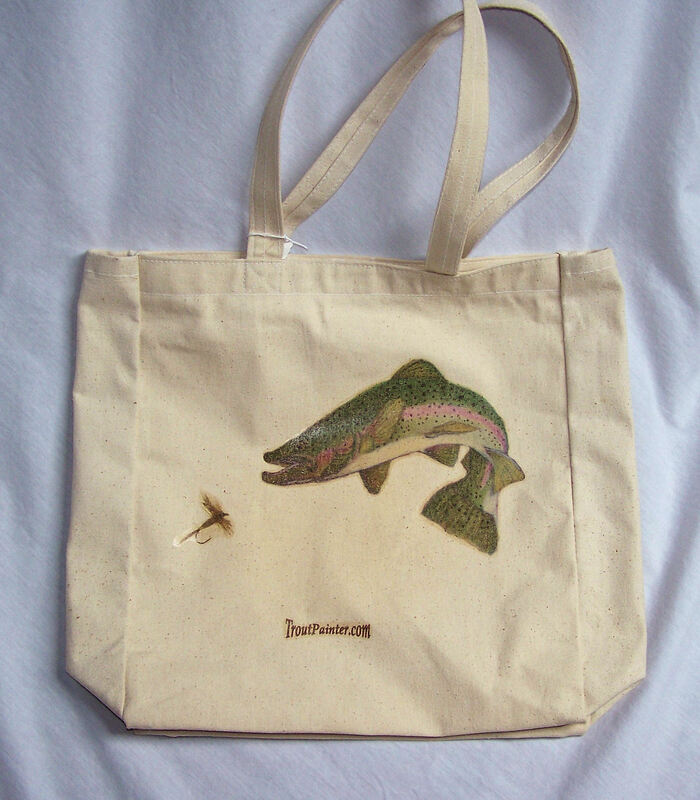 Bag is 19″ wide x 13″ high. Click here to return to Misc. Items page. This entry was posted in Misc. Items. Bookmark the permalink.